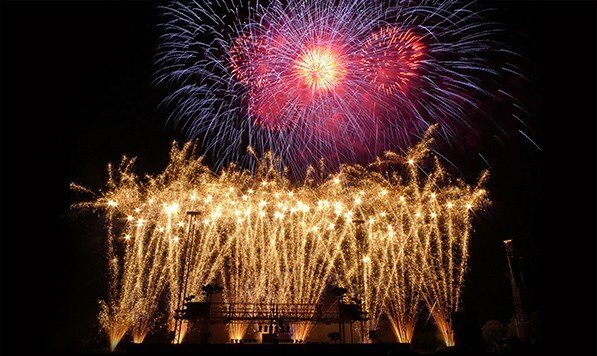 The recent upgrade of the quality and range of services of Andrikakis Fireworks in the entertaining area, through the fireworks, which brought a new industry to the Greek market, this music choreography of fireworks. Our company can undertake, skilful and safety, "choreography" of colors in the sky in harmony with the music, creating unique images that turn the sky into a theatrical setting. A special category of fireworks designed in collaboration with the couple. This personalized fireworks design with the technological possibilities offered by multimedia, staged in their detail to achieve the desired result. Unforgettable moments of joy and fun! We think fireworks, as absolutely intertwined with the sky. However, the evolution of fireworks has led to an entirely new area, that triggered fireworks usage in enclosed interiors, leaving no residues or smoke which is completely harmless with a very impressive result. Indoor fireworks are fired electronically by remote control through special "camouflaged" bases, decorated with flowers and placed at points of space or even on reception tables.